If you love cooking and dealing individually with clients, becoming a personal chef might be an excellent choice for you. Personal chefs need to be skilled culinary professionals that have a detailed knowledge of personal nutrition. Personal chefs often need to be extremely personable and will become a part of their client’s lives. A personal chef is a chef that works for a single family or individual. Sometimes a personal chef will have multiple clients, but they need to be available for the meal times of their clients as scheduled. Many personal chefs will cook for an entire family, and sometimes the dietary needs of the family may be specific. 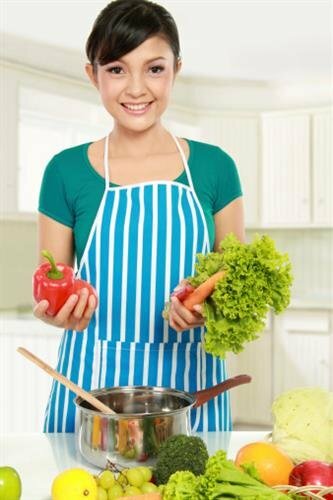 Personal chefs need to be well-versed on personal nutrition, as they will often be preparing food for children. Personal chefs may even prepare baby food if it is applicable to their client family. Personal chefs often need to be extremely personable and will become a part of their client’s lives. Some families may require a personal chef only on some days or for some meals, while others will require a personal chef for all meals throughout the week. A personal chef will need to consult with the family regularly and will need to create structured meal plans that are both healthy and delicious. The personal chef will begin by consulting with the family about their needs. Some families may simply want robust, quality home meals while others may have specific medical conditions that need to be addressed through a home chef. Personal chefs need to be especially conscientious about any possible allergies at this point in time. The personal chef will draw up meal plans and often the head of the household will confirm these plans before the chef begins cooking. Most personal chefs will do the grocery shopping on their own and ask for reimbursement later. Personal chefs need to be very conscientious about their expense tracking for this reason, and many chefs bill for the time they spend shopping as well as the time they spend cooking. Personal chefs also need to be very punctual, as they need to be able to feed the family on time every time. Throughout their employment, a personal chef will often learn more about their clients and their tastes. Some chefs will have their clients give them lists of foods and tastes they enjoy at the beginning of an engagement. How Do You Become a Personal Chef? Personal chefs need to be extraordinarily skilled. As a self-employed chef, a personal chef does not require any particular type of background or education. However, the most successful personal chefs have a significant amount of culinary experience and have acquired a degree at a reputable culinary arts school. Many personal chefs will also require references in regards to their cooking skill. Personal chefs will need to network to obtain clients and may need to advertise strategically when they first begin to secure their first few clients. However, most personal chefs will work for a single client for a long period of time, and once a personal chef has satisfied clients it will become easier to find more. How Do You Advance as a Personal Chef? Personal chefs are self-employed professionals. They usually advance by raising their rates, and they are able to do this as they gain a reputation for being an excellent chef. As the chef works for families and individuals with higher net worth, the personal chef will be able to request higher rates of pay. Personal chefs that are very successful may save money and open up their own restaurant rather than continue on as a personal chef.